Wow, a great fast paced read. I devoured this in one sitting. I sat down to read a few chapters and before i knew it BAM it was over. I really liked the characters . Kai is the son of an MC President and no desire to join the club. He has fought his father his whole life to stay out of it, but when he falls for a girl in trouble and needs the club to help him, he may not have any choice but to join. Callie (Cindy) has escaped an abusive husband. being trapped for years, she finally had enough and had the will to leave. She is afraid he will come for her, he did the only other time she left. Now she has met a man who will stand with her and protect her, she finally has hope. Crude Possession is a great start to a new series. 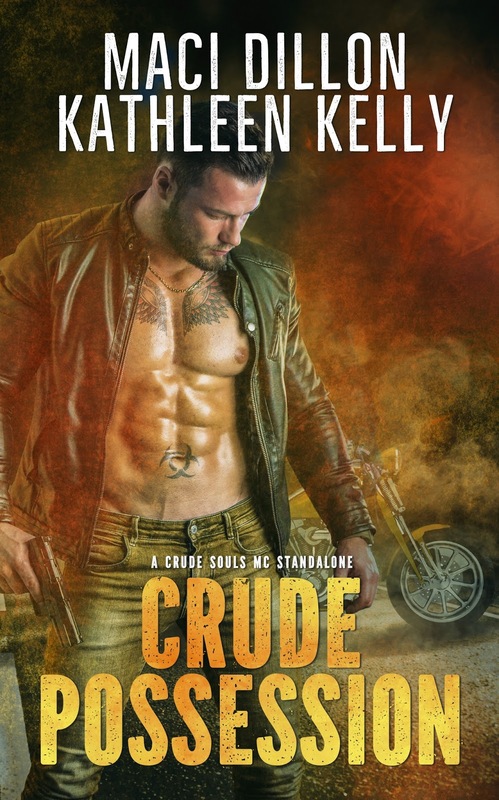 It is full of danger, excitement and yes, hot alpha bikers. I am looking forward to see where these two great authors are going to take us.